Dynamism in E-Commerce is inevitable truth since the time of its inception. And so, this year will be no different. The year, 2017, major makeshifts are expected to take place in the e-Commerce business. The focus is to enhance the overall shopping experience of consumers. And these makeshifts are expected to focus more on delivering cutting-edge customer experience rather than just delivering products and services. Let’s face it, everyone is selling almost the same product with almost the same price. So, businesses have realized that it is only by providing better services they can escalate the customer’s satisfaction and win their trust. The consumer is the King of a market, and e-commerce proved this right by taking best possible advantage of technology. Now that we are done with the first quarter of this year, a lot of expectations are at stake for improving customer satisfaction in eBusiness. This new wave of e-Commerce in 2017 is all set to change the course of online shopping. The old rules will break, new ones will take shape. Old methods will die and new ones will come alive. The past will come to an end, and give rise to the new and ever-changing future. Let us look at the touch points which will mark the transition in online shopping for this year. Amazon has revolutionized the way you buy your day-to-day utilities. Right from wipes, to washing powder, and plenty more groceries. 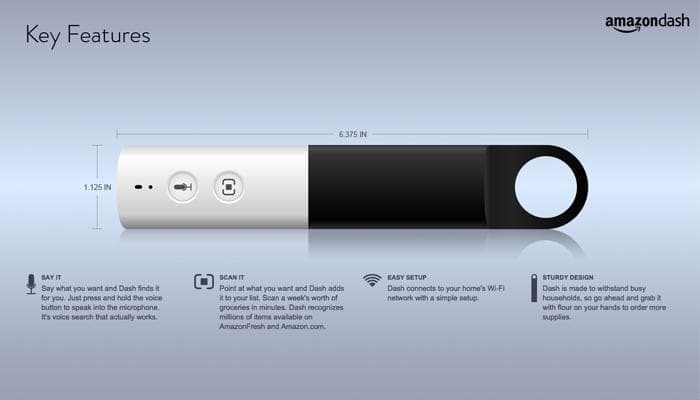 Amazon Dash is a device which is connected to your amazon account via Wi-Fi. So, whenever you run out of any utilities – as in you run out of razor blades or washing powder, simply press the Dash button. This marks the beginning of a device driven Ecommerce era. Post marking the inception of the device driven E-commerce era, Amazon is busy working on improving brand strength and product line for Dash devices. While on the other hand the competitors are already eyeing to transform the market with such devices. But truth to be told, Amazon Dash is not well received by users. 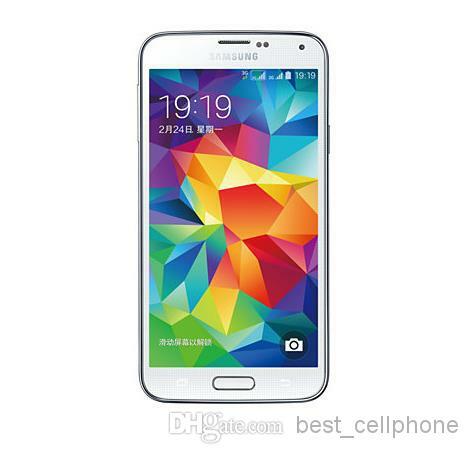 Primarily because of its limited availability to Amazon Prime Customers, and second because of its UI. But there is always a scope of improvement in technology, and this is just the beginning of revolutionizing the e-commerce buying process. 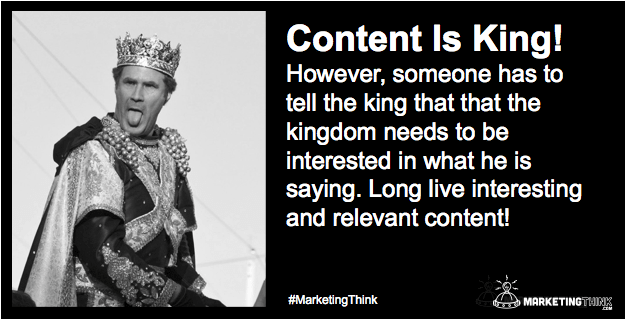 Not Only Costumers, Content is Also the King! E-Commerce businesses is no more a replica of brick and mortar store. With time, few businesses have created a customer base and some has found their niche. Now these markets have become a school for people to learn, a piece of art to get inspired, and an emotion to immerse into the brand’s universe. Yes, this is made possible by providing some extraordinary, engaging content for driving sales. If we go by what Smart Insights found, “…content was 2015’s most important commercial trend and its importance will continue to take center stage for years to come”. Businesses are now chasing the brand experience by creating original content for customers so as to allow them to interact with brands more. The story is not just about delivering goods. It is much more than that. It is an important customer touch point, and here the services should be efficient enough to escalate the brand’s image. So, after availing customized packaging options and free shipping, the trend went on to provide same day delivery. 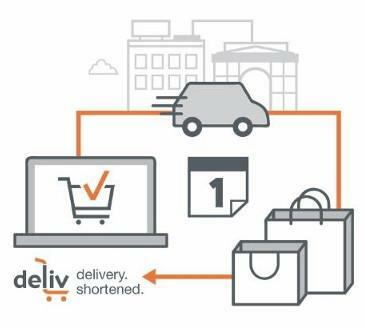 For example, Deliv works for bridging the gap between customer and retailers by providing same-day delivery. This is made possible by integrating local drivers for the delivery services. The shopping experience is now taking a huge turn with crowd-sourced delivery options. With crowd-sourced delivery, the delivery process can fasten up where deliverers are allocated for specific areas. This is done by recruiting local drivers for the delivery and thereby smoothening the logistics. 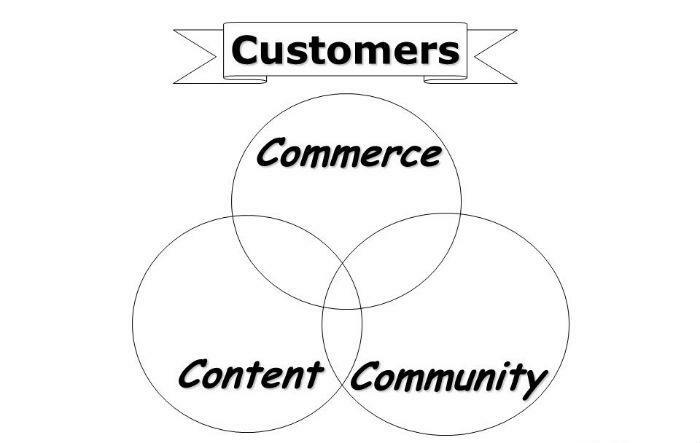 One of the latest waves in e-commerce is a community driven marketplace development. This marketplace serves as a platform for communities to share their views, reviews, and even their ideas about the product and services. This marketplace has thriven with community movements taking place on a day to day basis. It works both ways. Not only does it create the niche for customers, but also lures prospective customers to become the part of a community. 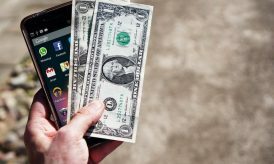 As per BI Intelligence reporting, beacons are expected to drive $44 billion in retail sales by 2016, shooting up from $4 billion last year. 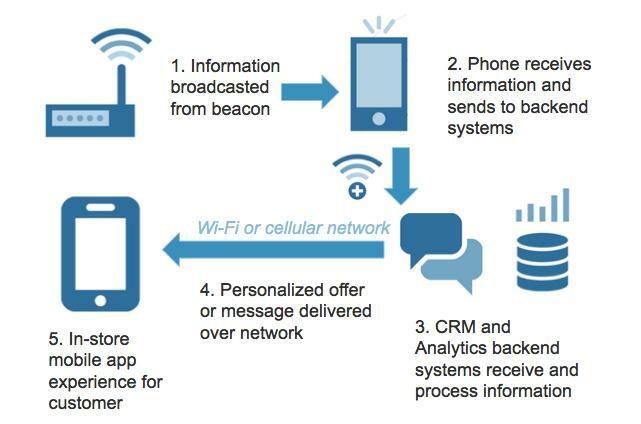 Beacons is a location-based customer communication technology, which detects customers walking in their store and then alerts them by pushing timely messages to that customer for promoting products or providing relevant information. 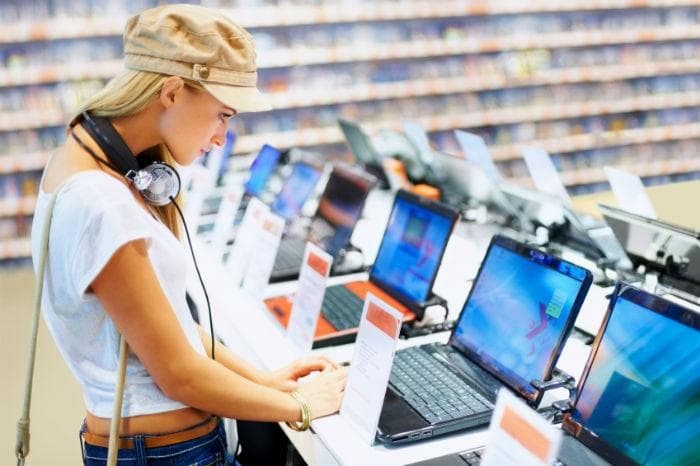 Indeed, it is a boon for retailers operating brick and mortar store to stay digitally connected with the customer along while they are physically present in their store. It creates an online as well as offline experience for customers at the same time. This is an exciting thing for customers. Because they are alerted of any ongoing discounts and offers in the store which in return can trigger buying actions. Even though social media is creating an impact on e-commerce businesses, the time has come to take the interactivity at another level. For example, ordering Uber through Facebook messenger. Going into the technicalities, the “more” button on FB messenger is designated by an ellipsis icon — this is a transportation feature. 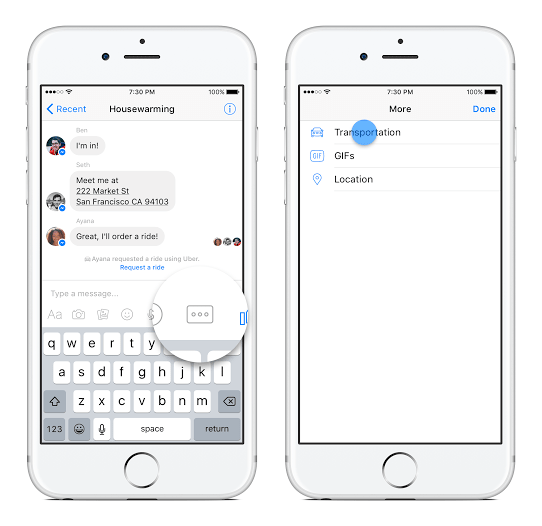 One of these buttons is intended to send a current location post which messenger will shoot you on to a new screen. There you order a car, set a destination, and see your driver en route. Although, this feature is still in testing phase, and will only roll out to some users in the United States. 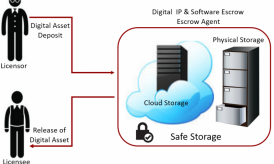 But, such innovations are likely to change the way one demands the services or products. Like, Shopify and BigCommerce has already deployed FB sells buttons on their websites. And well, this is just a beginning. These are just a few of the expected changes which are set to storm the e-commerce market in 2017. The future is always unpredictable and especially when it comes to technology, one never knows which way the wind’s going to blow. But one thing is for sure, technology will surely be affecting the way people are shopping things online. Evidently, the way e-commerce has progressed over a period of time with a rapid pace and this year is no different. This article is contributed by Nasrullah Patel, a co-founder at one of the top iPhone app developer companies, Peerbits. He devotes his time in inspiring young leaders to take the leap of faith. 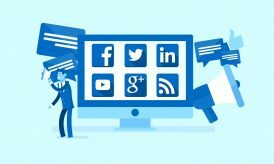 Previous story How do Tweets and Facebook Posts Affect SEO?